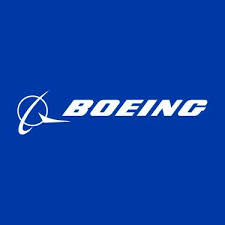 Boeing (NYSE: BA) today announced that it expects to recognize an income tax charge of approximately $150 million as a result of the recently enacted Patient Protection and Affordable Care Act, as modified by the Health Care and Education Reconciliation Act. Beginning in 2013, Boeing will no longer be able to claim an income tax deduction related to prescription drug benefits provided to retirees and reimbursed under the Medicare Part D retiree drug subsidy. Although this tax increase does not take effect until 2013, accounting standards require that a deferred income tax asset be written down in the period legislation changing the tax law is enacted. The charge is expected to reduce net earnings by approximately $150 million, or $0.20 per share, in the first quarter of 2010 as an increase to income tax expense and a reduction to the deferred income tax asset. Cash impacts of this charge will be realized over many years beginning in 2013. This impact was not contemplated in the guidance issued by the company on January 27, 2010. Guidance will be updated when results for the first quarter are released. Boeing was among 10 signatories to a letter sent to House Speaker Nancy Pelosi (D., Calif.) and Senate Majority Leader Harry Reid (D., Nev.) lobbying against the changes to retiree prescription costs. Two other signatories, Caterpillar Inc. and Deere & Co., announced a combined $250 million in charges, while 3M Co. said it would incur a charge of $85 million to $90 million. AK Steel Holding Corp. was the first company to announce a charge, of $31 million. Other companies with large ranks of retirees and generous pension plans are expected to follow suit. An estimated 1,400 for-profit companies are exposed to the tax change, according to benefits consultant Towers Watson. Since the Medicare Part D program was enacted in 2003, the federal government has been providing the tax-free payments to the companies as an incentive to maintain their drug-benefit programs. MetLife Inc. and Exelon Corp., which also signed the letter to congressional leaders, have said they are still evaluating the potential impact. Further, this change would result in large earnings statement reductions due to U.S. GAAP income tax accounting rules, which would require employers to immediately account for the present value of this tax increase.